In spite of entering 2016 with more than 200 million installations, there are an awful lot of Windows 10 holdouts, and nearly as many reasons for not making the upgrade – many of which are the reason for Windows 7’s still considerable user base. As far Microsoft is concerned, holdouts are a bad thing. That much is obvious, but according to Windows and Devices Group Executive Vice President, Terry Myerson’s, recent blog post, ‘Windows 10 Embracing Silicon Innovation’, there are definite downsides to sticking with their older operating systems. 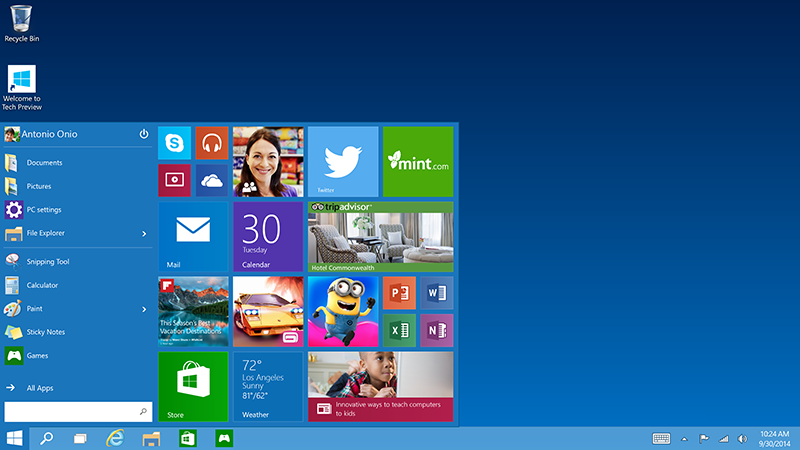 According to Myerson, Windows 8.1, but particularly Windows 7, won’t support the latest generations of silicon. This is, in part, due to Microsoft’s continued security, compatibility and reliability support for the older operating systems, and retrofitting the likes of Windows 7 to support modern silicon would only leave it vulnerable to any number of potential security flaws – zero day threats might become especially prevalent given that so much of Microsoft’s resources are now dedicated to keeping their most recent services and suites secure. As a result, Myerson announced that that Intel’s upcoming Kaby Lake, Qualcomm’s 8996, and AMD’s Bristol Ridge will only officially support Windows 10. That makes Windows 10 almost unavoidable for those planning to do upgrades in the latter half of this year. According to Myerson, Windows 10 also offers noticeably performance enhancements: “Compared to Windows 7 PC’s, Skylake when combined with Windows 10, enables up to 30x better graphics and 3x the battery life”. 30x seems a little exaggerated to us, but we get the gist of the post. Windows 10 uses a freemium business model, a business model that more than anything requires a user base, the larger the better. So we’re not at all surprised by this blog post. The larger the Windows 10 install base, the more likely developers will produce apps for Windows. It also means more profitable advertising spaces as well as more users who are more likely to purchase premium subscriptions for the many services and applications offered by Microsoft. Holdouts also mean Microsoft has to divide their resources as they spend huge sums of money on marketing those holdouts away from Windows 7 or 8.1 to Windows 10. To that end, Microsoft has resorted to a number of tactics to encourage the adoption of their latest operating system. It includes damn near spamming the upgrade message on Windows 7 and 8.1 devices; selling the benefits of Windows 10, like DirectX 12 and improved device interconnectivity; and even resorting to a little fearmongering.